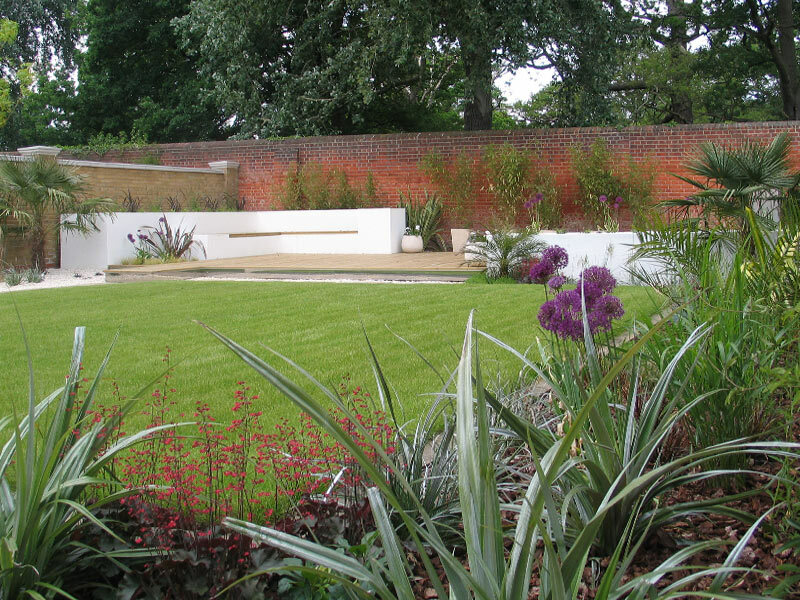 The client wanted to transform her large empty garden into an urban sanctuary with a tropical feel. 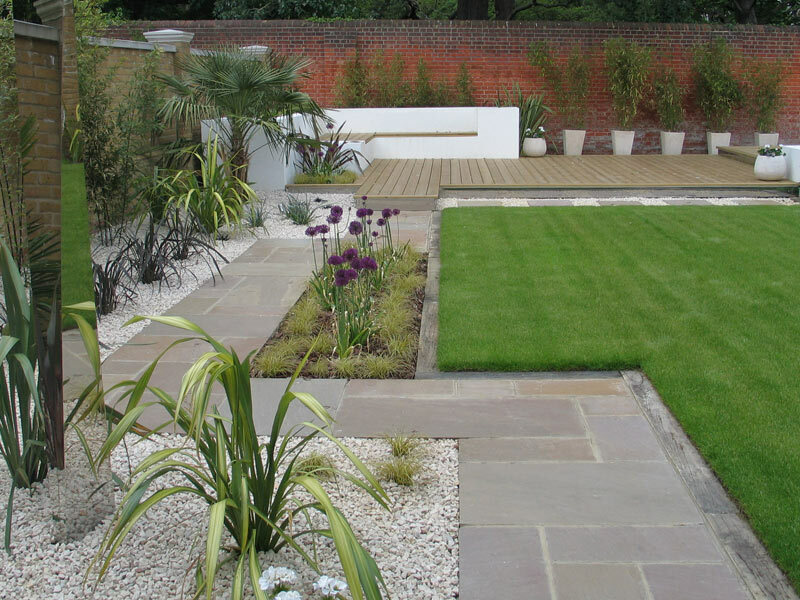 She requested a strong contemporary design that would look good all year round and be easy to maintain. The planting was to feature bold architectural plants. A path connects the original patio to a raised deck at the rear of the garden. The deck gets the sun late into the afternoon once the patio is in the shade. It has built-in seating and a day bed. 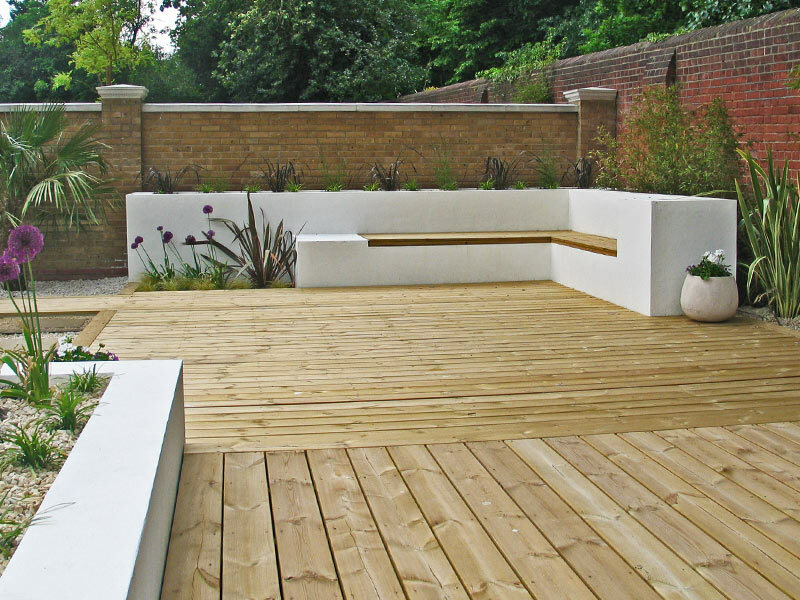 The strong horizontal lines of the built-in seating areas are echoed on the opposite side of the garden by a raised planter. The path draws your eye through the garden. Bamboos in large pots add a vertical accent and bring softness and movement. 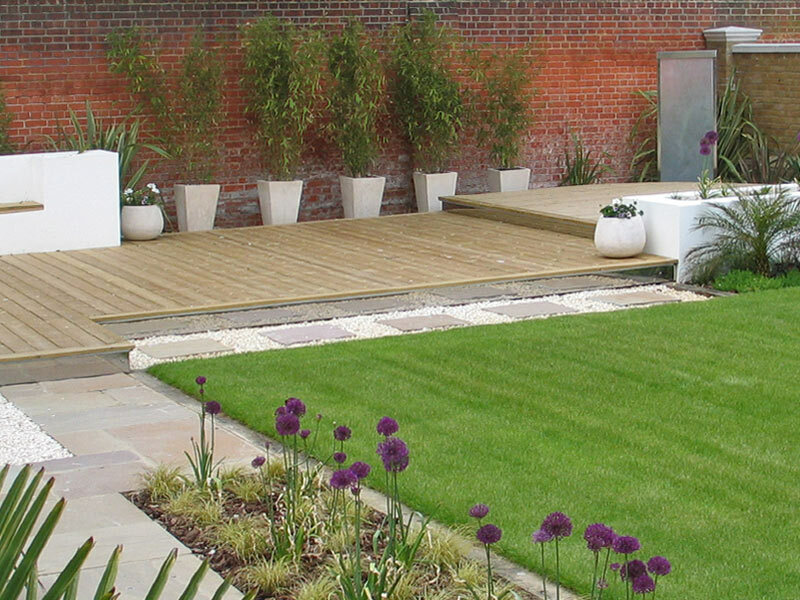 The decking, rendered walls and stone chippings maximise the light in the garden and, combined with the palms and phormiums, help to create the tropical feel the client requested.